Perfect Argentine Tango in Salon, Orillero, Canyengue, Apilado, Milonguero, Nuevo styles. 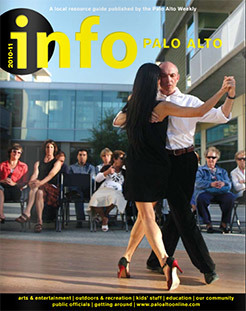 Private tango lessons: "I will work and dance with you the whole hour one to one. There is nothing better then personal attention. Results guaranteed ! You will dance ! And you will dance well." at the Palo Alto JCC "Cultural Art Hall" (Theater). New to tango? Start here.